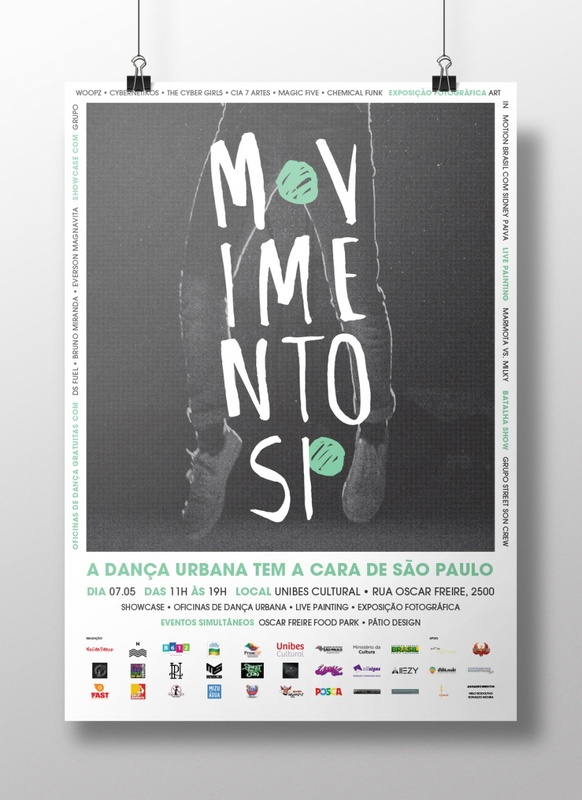 Live-painting performance and visual identity for Movimento SP street dance festival. Artist duo Marmota vs Milky participated in a live-painting performance produced by Norte during Movimento SP festival, an event featuring street dance workshops and presentations that took place in May, 2016 in São Paulo, Brazil. The artists worked on a mural of approximately 7x3m. Besides producing the performance, Norte has also created the visual identity and advertising material for the event.